I tweeted about this yesterday but its too cute not to post here too. 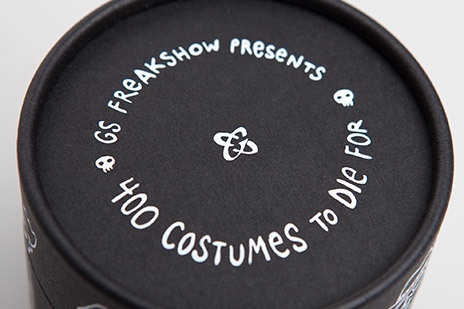 400 Costumes to Die For is GS Design‘s 2009 annual self-promotional piece. 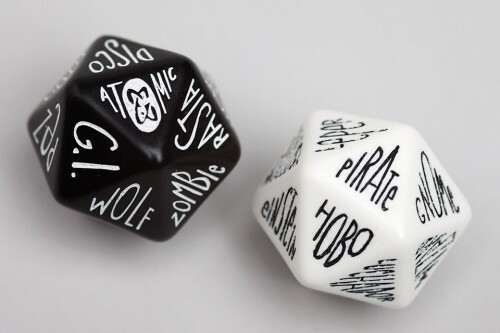 Just roll the two 20-sided dice to reveal more than 400 morbidly clever costume ideas – from Zombie Elvis and Space Jesus to the truly outré. 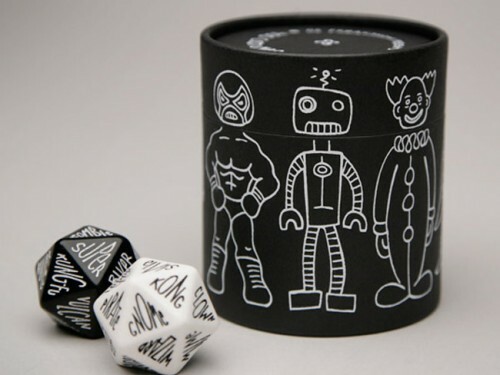 The dice are packaged in an illustrated tube with rings that rotate to let the recipient create mix-and-match Halloween creatures. 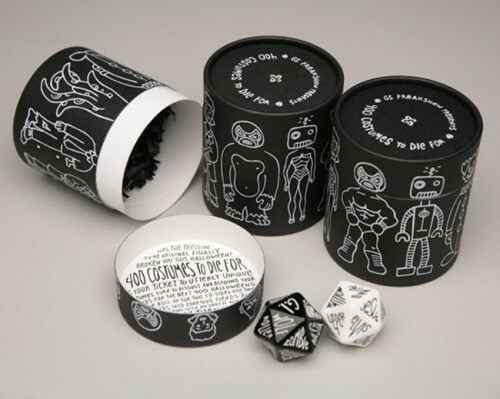 The tube is an economical one-color hot stamp on black paper with printed one-color instructions affixed inside the lid. While researching this design I discovered that they created an iphone and ipad app too! Download it for free here. 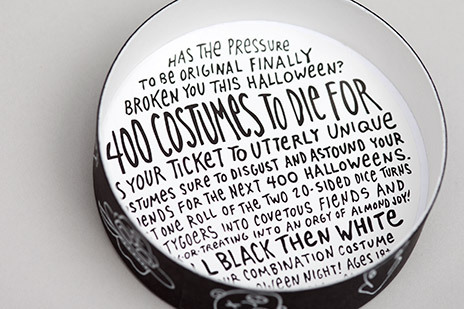 Now you don’t have any excuses not to dress up this year.